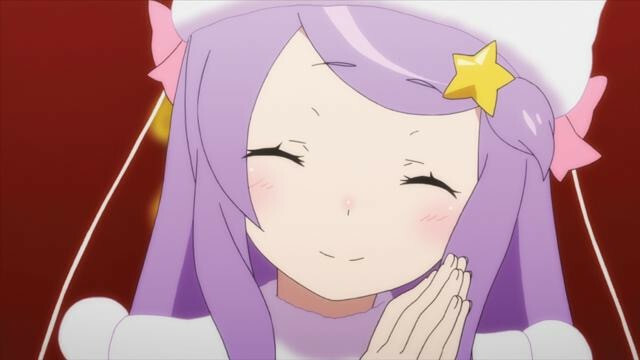 Today we present to you another Re:ZERO article from Animate Times, with translation by Frog-kun! 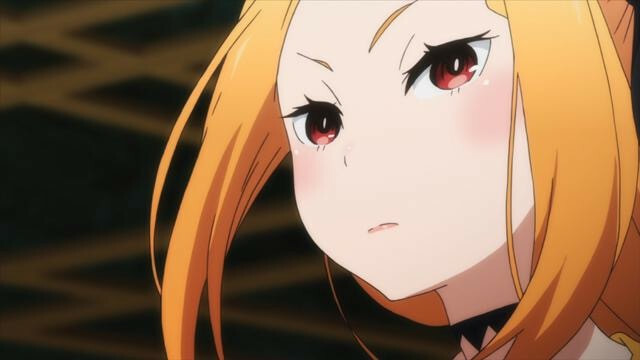 Re:Life in an Interview from Zero is a special series of interviews with the voice actors and theme song artists of the TV anime Re:ZERO -Starting Life in an Another World- (henceforth, Re:ZERO). 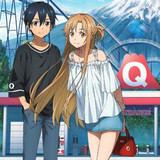 The series is published in Animate Times. This time, Takahashi Rie (who plays Emilia) and Akasaki Chinatsu (who plays Felt) make their appearance for the twelfth issue! 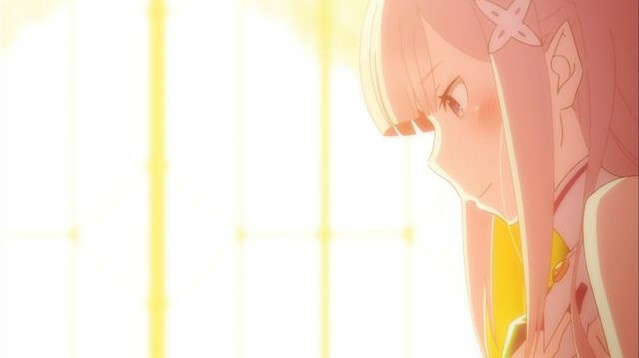 In episode 13, Felt makes her first appearance since episode 3, while Subaru and Emilia go their separate ways. Looking back on this plot-intensive episode, Akasaki-san discusses her impression of the story so far. 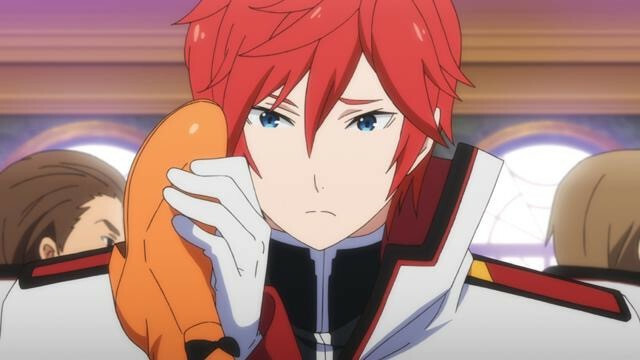 Continuing with the relay interview format, Akasaki-san answers questions from last week’s guest—Kobayashi Yūsuke-san, the voice actor of Subaru. Akasaki-san also answers questions from all the readers, so be sure to read all the way to the end! 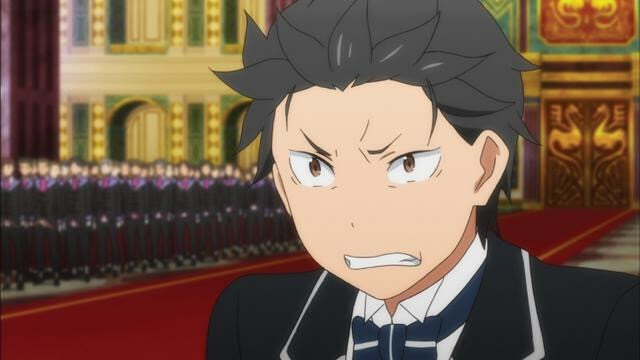 ■ Akasaki-san, how have you felt watching Re:ZERO so far? Akasaki Chinatsu-san, the voice actress of Felt (henceforth, Akasaki): I was wondering when she’d appear again. 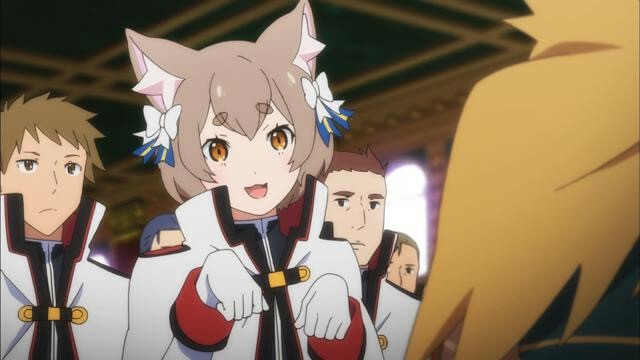 I was starting to get the feeling that my appearance in Re:ZERO was just a dream (laughs). 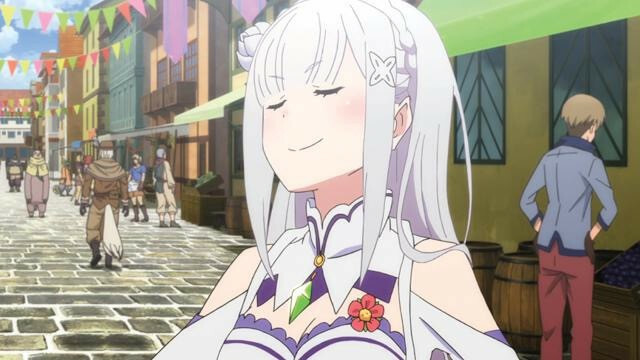 Takahashi Rie-san, the voice actress of Emilia (henceforth, Takahashi): You’d feel that way after waiting for ten whole episodes. But I’ve never ever forgotten you, Chi-san (Akasaki Chisatsu-san)! Akasaki: No way! That’s a barefaced lie! Akasaki: Look me in the eyes when you say that! How did it feel coming back to the stage after so long? Akasaki: It felt like a completely different anime. There were so many characters whose voices I’d never heard before. It was like my very first appearance. Oh, and I’d never had a single recording session with Rem and Ram, so I was super psyched at first, but then it turned out I missed them yet again. 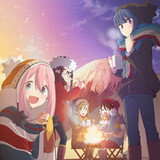 I could see some familiar faces: Subaru, Emilia, Old Man Rom and Reinhard. They all appeared with Felt in the first three episodes, so I could join in with a whole new feeling. 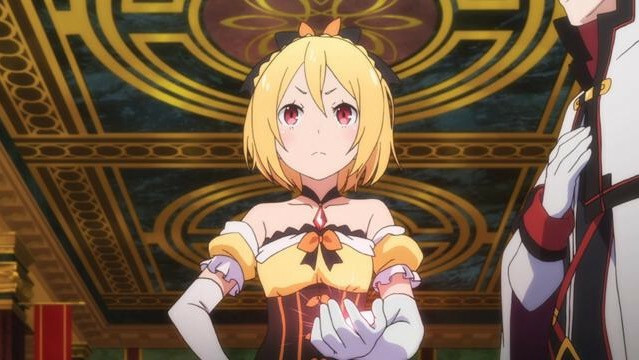 Were you watching Re:ZERO during the period you weren’t appearing? Akasaki: Of course! Emilia was a total angel! Takahashi: Really? That makes me so happy! Takahashi: I’m so touched to hear such praise from a more experienced actress! Akasaki: You put a lot of care into the acoustics. Takahashi: Of course! I got so close to the microphone I wondered if I could even deliver my lines properly. Akasaki: Were you asked to come closer to the mic? Takahashi: It was a part where I had to talk quietly, so I tried coming closer than usual. Nobody really told me to move away at the time, so I took a leap of faith and delivered the lines with my face practically touching the mic. When I did that, the sound came out really smoothly. Akasaki: You made it sound like you were really whispering into Subaru’s ear, in my opinion. It felt like Emilia-tan was giving me a hug. 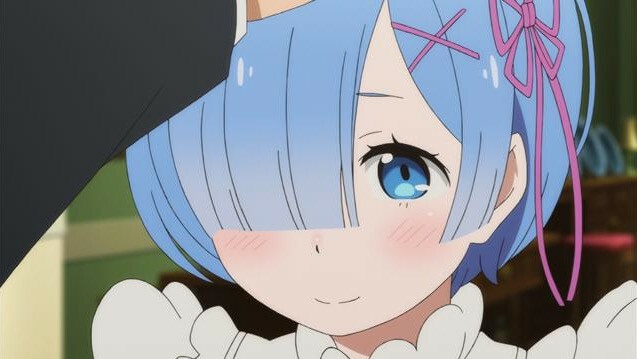 I also felt like I could understand why Subaru keeps going on about how much he likes Emilia. She really came into her own as a heroine. Takahashi: I’m so happy you think that way! Akasaki: Even in the scene where Subaru tries too hard and overexerts himself, I thought that Emilia was really good. 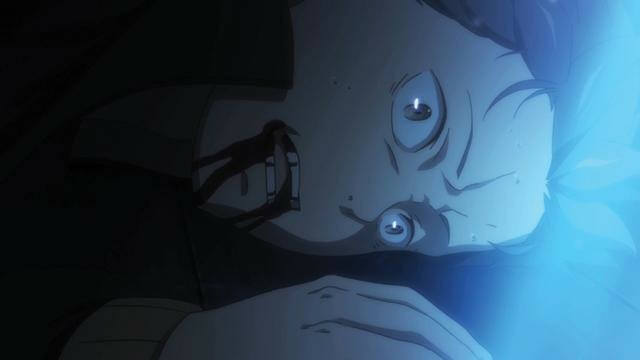 Subaru was screwing up so much it was painful to watch him. When Emilia gave him a hug, it was a great moment for her as a heroine. 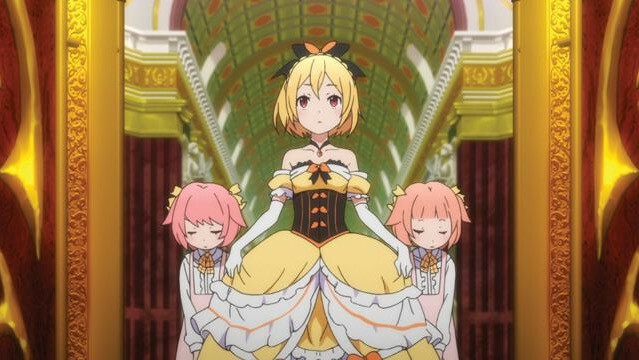 That said, the character I’m rooting for the most is Beatrice (laughs). Takahashi: Her “I’ll grant your nonsense favor” line from episode 7 was great as well! Akasaki: She grumbles about this and that, but then she protects him to the best of her abilities. She’s so cute! I can’t hold in my love for her! ■ Felt’s long-awaited reappearance was awesome! 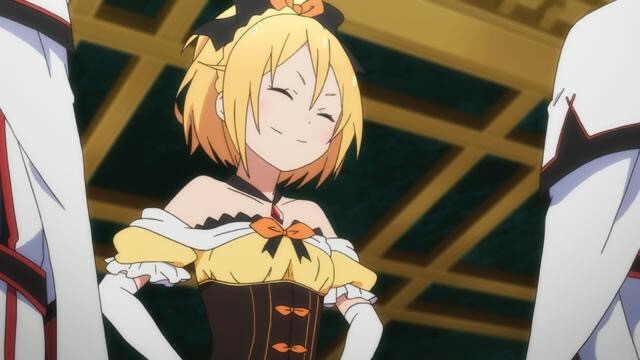 Akasaki-san has watched Emilia-tan strut her stuff as a heroine, and now it’s her turn to reappear on the stage for the royal selection in Re:ZERO! Akasaki: Finally! She might not have had any lines in episode 12, but that final scene got me really pumped up. I thought: whoa, she’s here?! It was a great hook. When Reinhard said, “The one I, myself, revere as queen. 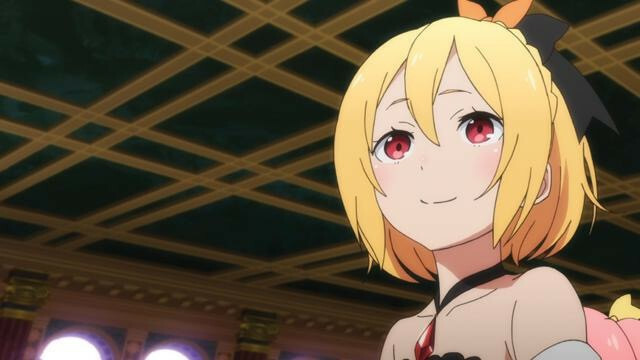 Her name is Felt-sama,” she stepped into the room. Plus, she was wearing a dress during her appearance. I thought she had this formal air about her, but I was relieved when it turned out that she hadn’t changed one bit on the inside. She gave Reinhard a good tongue-lashing: “You dragged me here with no explanation, and what do you call all this? !” She didn’t pull her punches even when she was taken to a place that was so grave and solemn. That’s the Felt we all know and love. 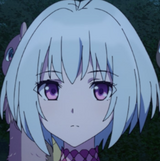 In episode 13, Felt withdrew her candidacy for the throne, but when Old Man Rom was captured, she announced that she would participate in the royal selection in order to save him. She seemed really cool at that part, didn’t she? Akasaki: It was really cool how she didn’t mince any words. I was told to make it more theatrical from the start of the scene where she says, “I hate the nobility.” That was the image I had of her myself when I was trying to do that part, but I was told to take it even further. Takahashi: I really liked that scene. That was when I found out how deeply Reinhard had sworn his fealty to Felt. Reinhard’s line at the end of episode 12 oozed with triumph. And then, in episode 13, he acted as if Felt’s outbursts were all within the range of his expectations. 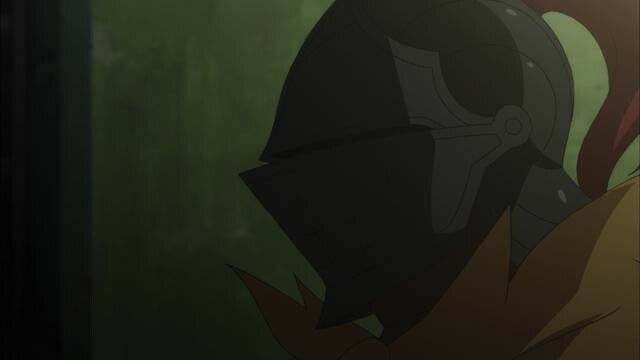 Akasaki: He stood there and gave the impression that everything was rolling smoothly on the palm of his hand, but you could see Felt’s strength when she said, “If I become the next ruler, I’ll destroy everything!” She leaped off his palm and took charge. I think they make a good combo. It made me excited to see what kind of country those two would create. ■ Subaru and Emilia unexpectedly part ways. Episode 13 was the ultimate test of their feelings. Takahashi: I played the role as if I intended episode 13 to be the finale. I really wanted to try expressing that level of emotion. Akasaki: That would leave us with a bad end! Takahashi: But at the same time, I don’t mind if they have a relationship like that. Up till now, it just looked like things were going well, but then all her bottled-up confusion came pouring out of her. I performed that scene with the assumption that things would be over between them after that. Subaru could never tell her about all those times he suffered in order to save her, and so her trust and gratitude were tempered with unease. All of that boiled to the surface, didn’t it? 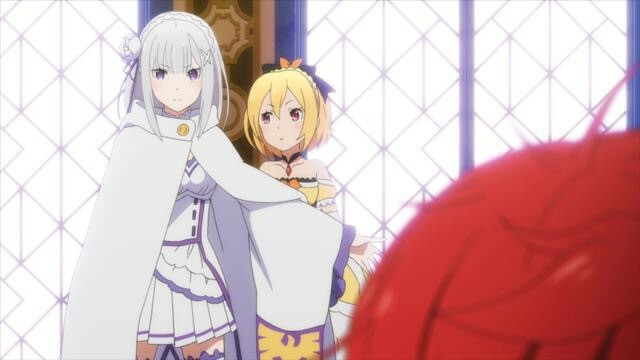 Takahashi: Emilia has never been good at connecting with other people, and so when Subaru barged his way into the picture, it was a first for her. She didn’t know whether it was okay for her to get tangled up with him. As she wallowed in uncertainty, they kept getting further entangled. When he overstepped her boundaries, she was filled with emotions she had never experienced before. In episode 13, her confusion came to a head, I suppose. 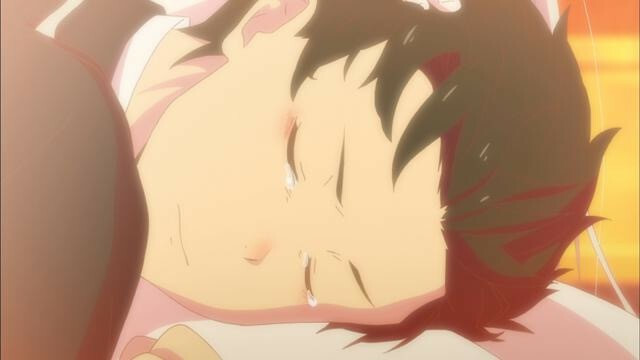 But you can also understand Subaru’s feelings. 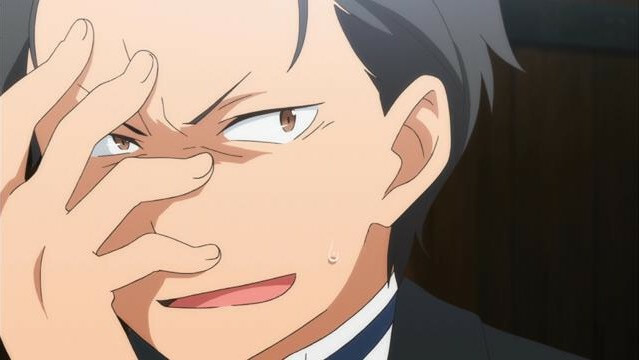 He can’t just stand by silently when Emilia is being discriminated against on the basis of being a half-elf or because of her possible relation to the witch. Akasaki: As far as Subaru is concerned, Emilia is everything. He met her when he was completely clueless and alone. 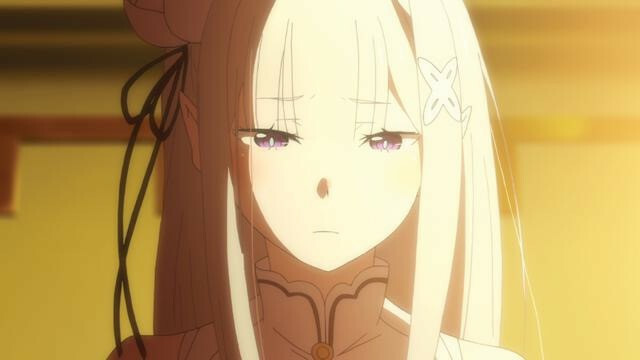 Emilia was the one who helped him out, and so Subaru’s actions are rooted in his desire to be helpful to her. She was the root of everything, you see. So I can see why he’d get that way. 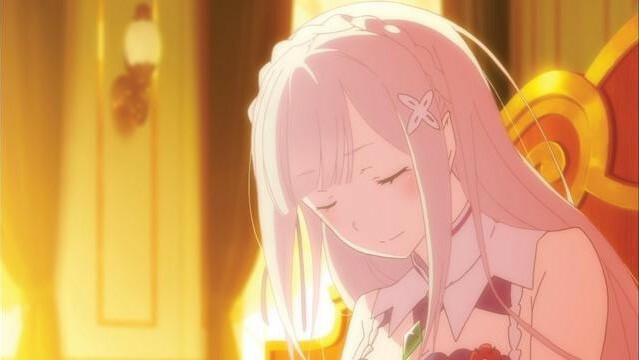 Takahashi: I can understand how Emilia is everything to him. But she has never even made a normal connection with someone. If she had to bear everything on her shoulders, she’d feel bewildered. Akasaki: But that’s the only thing he can do. 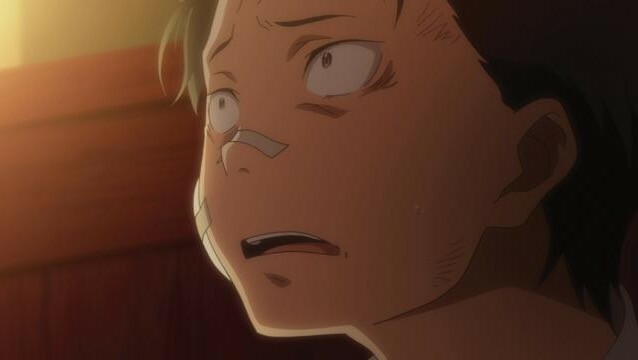 Doesn’t it make sense that after getting pulled into a strange world, he’d develop special feelings for the first person to help him out and have a conversation with him? Takahashi: Yeah. 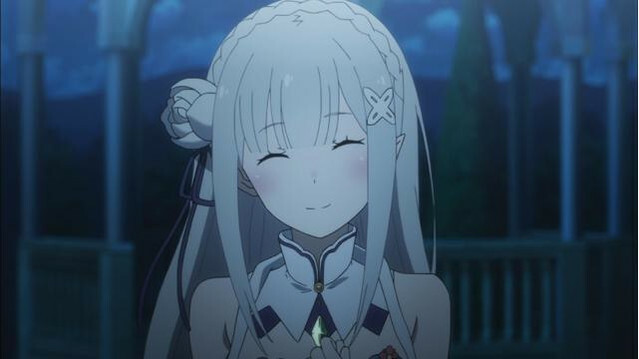 But I think that when they watch the second arc and the current third arc, all the viewers will be thinking, “There are better people, you know.” (laughs) His encounter with Emilia must have made a huge impression on him if it made him think that he had to support her through everything. It was extreme common sense for Emilia to help him out, so I’m surprised that he would go so far for her in return. Akasaki: Maybe it’s interesting because there’s a gap. 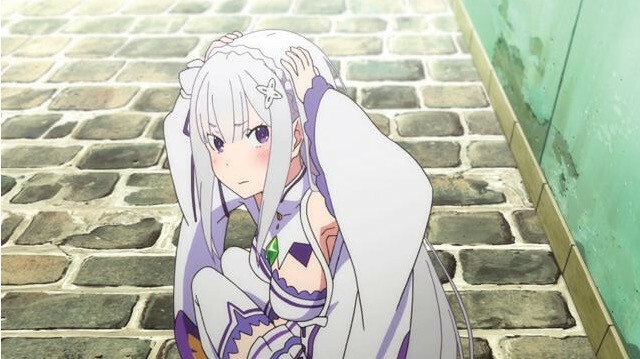 I think that it would be really hard to play Emilia. We get to follow Subaru and see everything he’s done, after all. What Emilia and the other characters can see is much hazier compared to what we get to see from a bird’s eye view. I think it must be hard to think from her perspective. ■ Which candidate do the two of you expect to win the royal selection? Also, which character would you like to have as your knight? All the royal selection candidates are shown here. 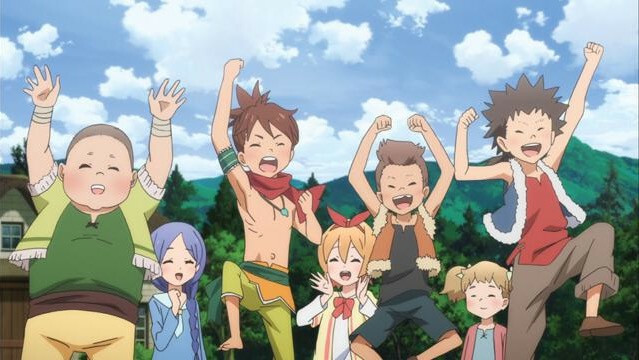 In your opinion, who is the strongest character? Who is closest to the throne? Akasaki: They all look strong. Crusch-sama looks like “the ruler,” though. Takahashi: She’d definitely keep the country secure. Akasaki: You wouldn’t go wrong making her the ruler, and plus she’s the type to take the lead. Anastasia-sama is tough as nails too. Takahashi: She’ll bring financial security. You can do anything as long as you have money! Akasaki: She gives off this gentle vibe, but you also get the feeling that you don’t know the depths of what she’s really thinking. Takahashi: I’m surprised! I had no idea she had that kind of personality! Akasaki: She gives off a different impression from how she’s drawn, and plus she has a Kansai accent. Moving on, Priscilla is strong! “This world is designed to operate in the way that works best for me,” she says. Wow, she seems invincible… Against all those people, Felt doesn’t seem to stand a chance. 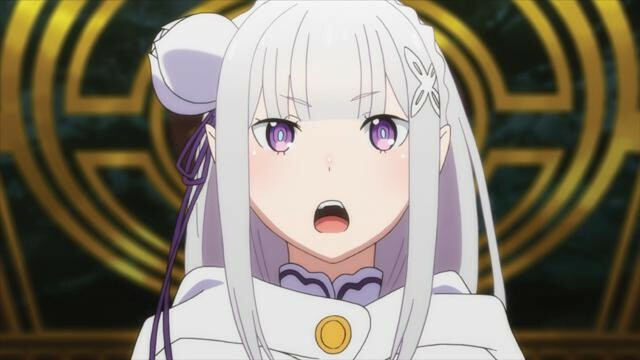 Takahashi: Emilia’s the bigger underdog! Akasaki: But she’s the heroine, isn’t she?! Akasaki: Yeah, if she became the ruler, she’d probably worry about too many things and collapse. 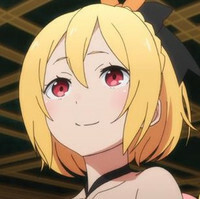 Takahashi: And doesn’t Felt have that ridiculously strong Reinhard at her side?! He’s the Sword Saint, you know! Akasaki: I think that out of all the assembled candidates, Felt is the wildcard. And among the candidates’ knights, who would you pick as your own knight? Akasaki: I’d go with Reinhard. I get the feeling you wouldn’t go wrong having him on your side. Takahashi: I guess I’d pick Felis. He’s cute and seems easy to talk to. I also like how he speaks so nonchalantly yet so cuttingly. Akasaki: He might be scheming something. Akasaki: I like Al as well. He feels mysterious. Takahashi: He seems like the type to do anything his lady tells him to. Akasaki: The elusive parts of his character are great as well, I think. I want to get a proper look at his face. Akasaki: You’re not supposed to say that, Lia-chan! 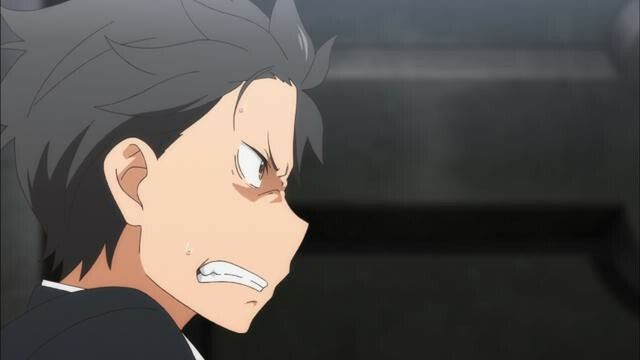 Episode 13’s title is “Self-Proclaimed Knight Natsuki Subaru.” What would you call yourself? Akasaki: Coming up with a name for myself is difficult, but I’ll do it for others! Okay then, you guys can come up with catchphrases for each other! Takahashi: You decided on that awfully quickly! Takahashi: What part of me is ditzy? I don’t see it. 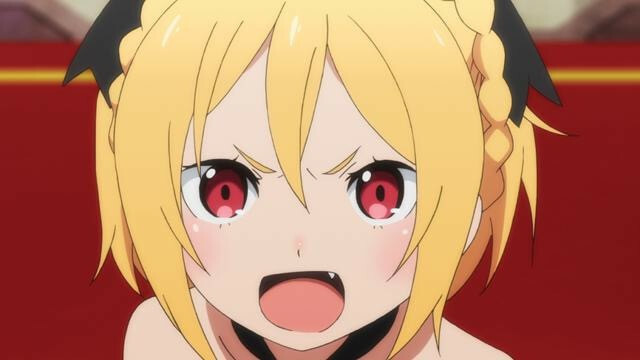 Akasaki: Huh?! You say ditzy stuff all the time! Takahashi: How so? Give me some examples, please! Akasaki: “MAHO.” If someone asks you what the English word is for mahō (magic), you’re the only one who would say that! Publicity agent: Also, do you remember what “lol” means? Takahashi: You’re so mean! Chi-san, you’re always so reliable, so I’m having trouble coming up with a name for you. Akasaki: No problem. Just call me your Trusty Senpai. Akasaki: Now who’s the mean one?! I just didn’t have any screen time. Akasaki: That was only for episode 3 of the first arc! Oh wait, we went to a barbeque together earlier. Didn’t something happen back then? Takahashi: Hmm… Let’s put it on hold for a bit. I’ll decide by the end. Akasaki: Sure. I can’t wait. ■ What’s something in the past that the two of you want to change? Something that bothers you? Akasaki: Nothing that I would go to the lengths of dying for. (laughs) There probably is something I’d want to change, but then I’d immediately forget it. ■ Who wins the title of “Myon myon myon” champion? 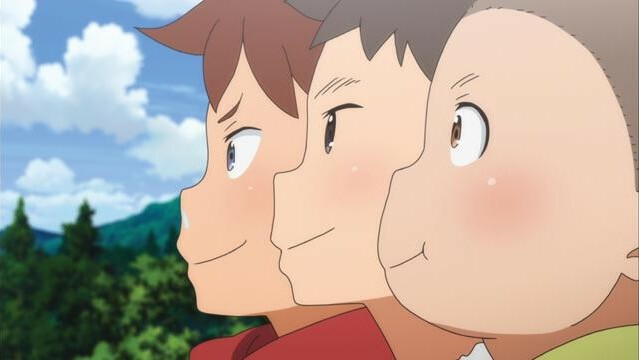 Takahashi: It’s hard to tell what’s cute. Cuteness is in the eye of the beholder… Hm? Is something the matter, Senpai? Akasaki: I thought you’d nominate someone. Takahashi: I haven’t heard your “myon myon myon” yet, that’s why. Takahashi: It felt more like something from outer space than I expected. Akasaki: I was calling for a UFO? Takahashi: When Inori-chan and I did it, we were the aliens. You’re an alien spacecraft. Do you understand what I’m saying? Akasaki: Nope. Give me an example. Takahashi: When I said “myon myon myon,” I sounded like an alien. Chi-san, you’re the spacecraft that comes to pick up the alien. Akasaki: You think so? Then who can say it cutely? Takahashi: Only four of us have tried it so far: me, (Minase) Inori-chan, (Uchiyama) Yumi-san and Mr. Yukke (Kobayashi Yūsuke). 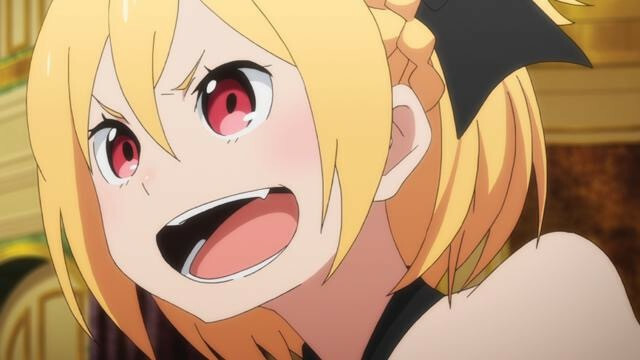 Akasaki: I want Kobayashi Yumiko-san to say it. She plays Mildo, the chubby boy from the village. Takahashi: I know what you mean! He’s super adorable! Akasaki: I thought he was cute from the moment I first heard his voice. Takahashi: Same! Please let that kid do it! ■ What were the questions from Kobayashi Yūsuke, the voice actor of Subaru? Akasaki: If he were someone I didn’t know I’d completely ignore him. I tend to stay out of trouble, you see. If you flipped your top, Yukke-kun, I’d be surprised and try to calm you down. But if something like that actually happened, I doubt I’d be able to say anything. These days, I personally don’t often impose my feelings on others that much. If someone imposed their feelings on me, I’d be at a loss about what to do. Takahashi: I’d meet his eyes and try to figure out the situation for starters. I don’t think I’d be able to find the right words to say. Akasaki: Maybe the words won’t come out even when you have something to say. I’m no good when it comes to things like arguments. Takahashi: Really?! But you’re so talkative. Next question: “If you were the ruler, what kind of country would you create?” For example, would you choose not to charge taxes? Things like that. Akasaki: If I were the ruler, I’d want to receive taxes. Takahashi: None of the citizens would want that at all! Akasaki: With the taxes I receive, I’d create a structure that thoroughly reduces the amount that everyone has to pay. I want to create a country where everyone is happy and can afford to pay their taxes. I want to create a system where everyone can take vacations at their leisure and go on a trip to wherever they fancy. That sounds like a politician’s manifesto. (laughs) What about you, Takahashi-san? That’s too realistic. (laughs) Don’t you have a more idealistic vision? Akasaki: Okay, I’ve got it! I’ll make my country into a resort! 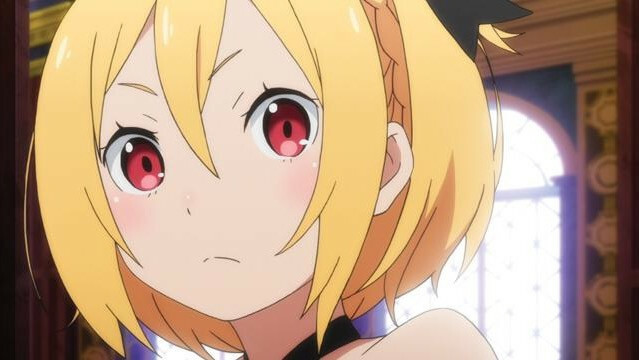 ■ Let’s decide what questions to ask Minase Inori-san, the voice actress of Rem. She will be appearing in the next issue. In the next issue of this series of interviews, Takahashi-san will appear alongside Minase Inori-san, the voice actress of Rem. 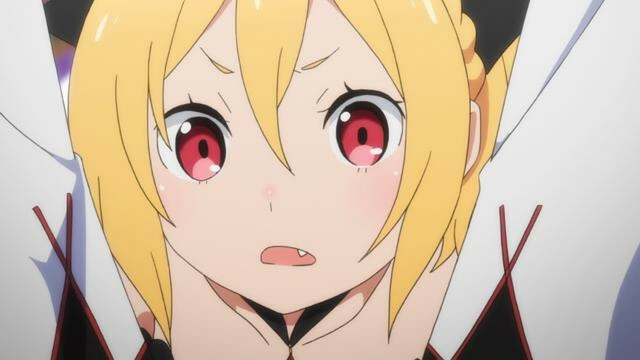 Akasaki-san, do you have any questions for Minase-san? Akasaki: What do you think of that? Akasaki: Are you okay with that? You’ll be answering that question yourself. Takahashi: Actually, I have done something girly. I want to ask Chi-san about it too. You’re normally so stylish, so I thought you just had to be doing something beyond buying clothes. Akasaki: Right now, I’m growing tomatoes! I have a vegetable garden in my veranda. I water it every morning, and just a while ago, I picked the fruits. Takahashi: That’s amazing! I’m speechless. 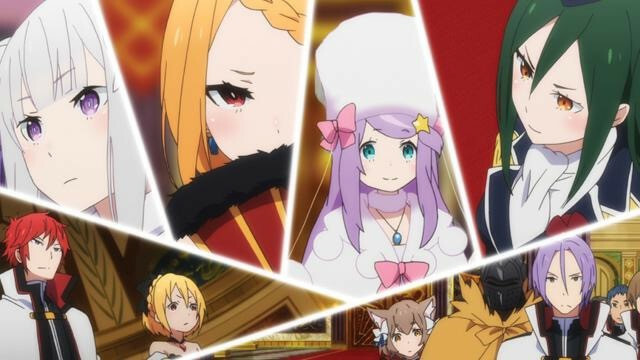 ■ After Subaru and Emilia’s parting, all eyes will be on Subaru! How will his actions advance the plot? Which of the new characters in the latest arc are you paying attention to? Who are you curious about? Akasaki: First of all, let me say how sad I am that Beatrice hasn’t appeared in the latest arc. I want Beatrice and Felt to meet each other. I want to see them joke around with each other. Takahashi: Won’t they get in a fight? Akasaki: Felt wouldn’t make fun of her. Personally, I like Priscilla; I think her lackadaisical aura is cool. I’m curious about her future actions. I’m dying to know who will become the ruler and how the story will progress. Finally, do you have a message for the readers? 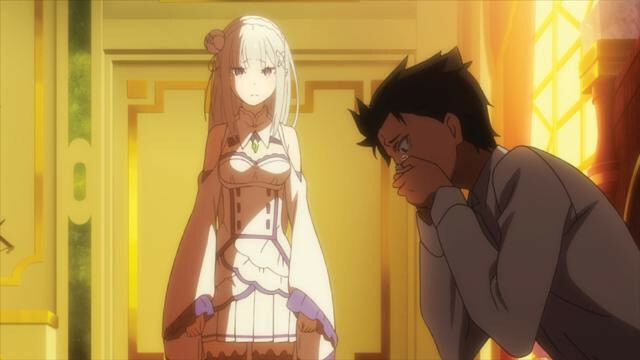 Akasaki: Going back to Emilia’s line in episode 13: “You’ve done enough, Natsuki Subaru.” I don’t think that this will be the end, so I hope you pay attention to their relationship. Also, I really hope that Felt gets an active role. 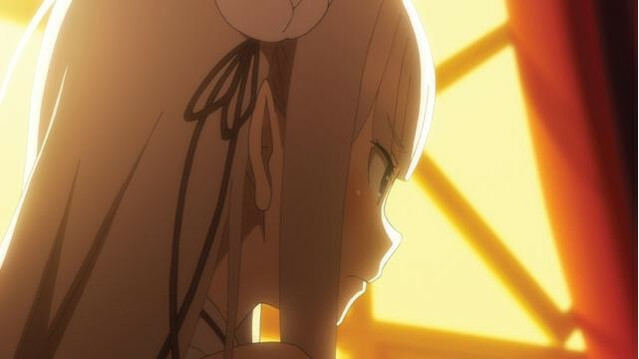 Takahashi: Subaru and Emilia’s parting will bring a lot of things into motion. Many things will come together. 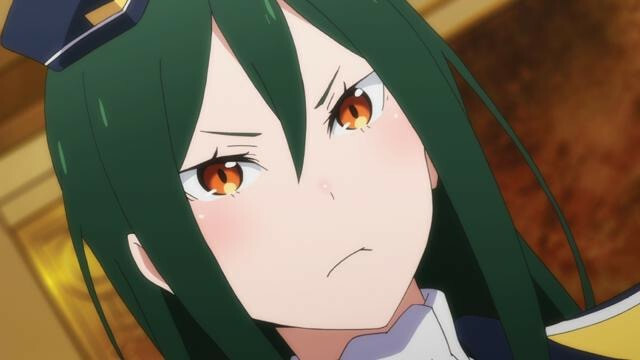 As far as Subaru is concerned, the arrow pointing straight at Emilia will change direction, but where it goes is something you’ll have to find out for yourself. Akasaki: Wait just a second! She still hasn’t decided my catchphrase! Takahashi: I’ve got it! Chi-san, you’ll always be my Senpai. Akasaki: One day, that won’t apply anymore, you know? Takahashi-senpai? Takahashi: No, that’s not what I mean! You were there when I was having my first audition at the office. You were really kind to me then. You were probably the first Senpai I ever had. Right, you’re “Takahashi Rie’s Senpai,” Chi-san. How does that sound? Akasaki: Please be a little more original! Takahashi: You’re “Takahashi Rie’s First Senpai.” Please accept that. I really can’t stop respecting you! She can’t put her respect into words. Takahashi: “Takahashi Rie’s Senpai, Whom Words Can’t Describe.” But that’s a good relationship to have, isn’t it? Takahashi: But if I put it into words, I feel like our relationship ends there. So in the end, “Takahashi Rie’s Senpai” fits best for me. Please accept that. Akasaki: Fine. But you can update it anytime, you know. 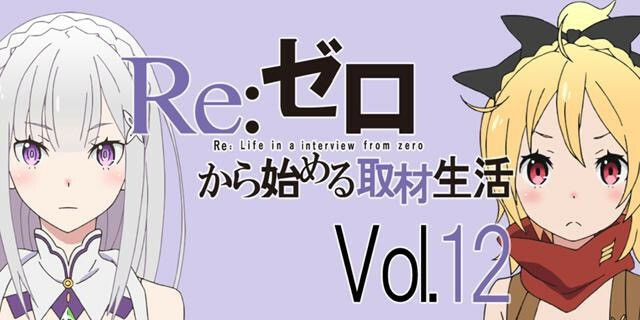 In issue 13 of Re:Life in an Interview from Zero, Takahashi Rie-san and Minase Inori-san will appear. Takahashi-san plays Emilia, while Minase-san plays Rem. Stay tuned to find out how the conversation goes!